It is the prisoner's 12th day of hunger protest against the persecution of Crimean Tatars. The Ukrainian consul in Russia's Rostov-on-Don has visited Crimean Tatar political prisoner Ruslan Zeytullayev, who was convicted in the case of the pan-Islamic organization Hizb ut-Tahrir banned in Russia, the spokesperson for the Ukrainian Foreign Ministry, Maryana Betsa, has told LB.ua. "After almost two years of Ukraine's persistent requests, the consul managed to visit Zeytullayev. His position remains unchanged: he will continue his hunger strike because of political persecution. I will be able to share other details later," she said. 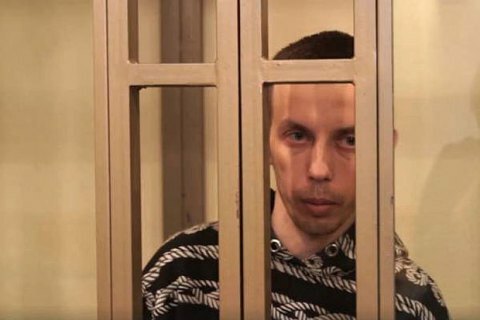 Zeytullayev's lawyer Emil Kurbedinov told LB.ua that he was deeply concerned about his client's health ahead of his prison transfer: "By the 10th day of the hunger strike [6 August], he has lost 3.7 kg. We can draw parallels with his previous hunger strikes and say that this day is a critical peak. Last time he could not walk or stand up, his speech was very weak. I am confident he is as weak now. I am afraid that he will be transferred in this heat by train." Earlier, the Russian Supreme Court extended Zeytullayev's prison term to 15 years. The Russian authorities insist that he was in charge of a cell of Hizb ut-Tahrir. This organization is banned in Russia but not in Ukraine.